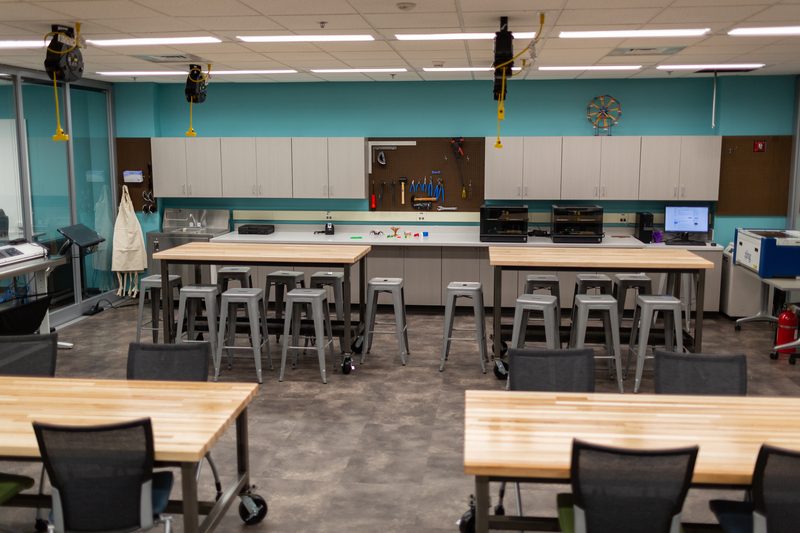 The Atkins Makerspace is on the second floor of J. Murrey Atkins Library, and is open to all current UNC Charlotte students, faculty, and staff. The space is equipped for all kinds of making, and contains equipment and materials such as 3D printers, a laser cutter, desktop CNC routers, sewing machines, paints, wood, circuitry kits, textiles, and more. All users must sign the Atkins Makerspace Safety and Use Agreement and comply with all Makerspace Policies. Feel free to sign it now! Users who would like to learn to use the equipment in the Makerspace can take part in a training. Check our Workshops page for dates and times and to register.